With keyboard and mouse support now being a thing on Xbox One, Razer and Microsoft are teaming up to make an official product that highlights this unique functionality. When the feature was announced back in September, Microsoft teased that they were working with Razer to make something special. Now, the premium peripheral manufacturer has revealed a sneak peek at its wireless keyboard and mouse set up designed exclusively for the Xbox One console. While any keyboard and mice combo should work with the console, this is the first one that is officially being built with the Xbox One in mind. Razer will have more information to share next month on January 8th, 2019 at CES. In the meantime, users can sign up to receive updates so they don’t miss out on all the latest info. As for games that support the feature, 14 games have already been confirmed including Warframe, Day Z, and Moonlighter. 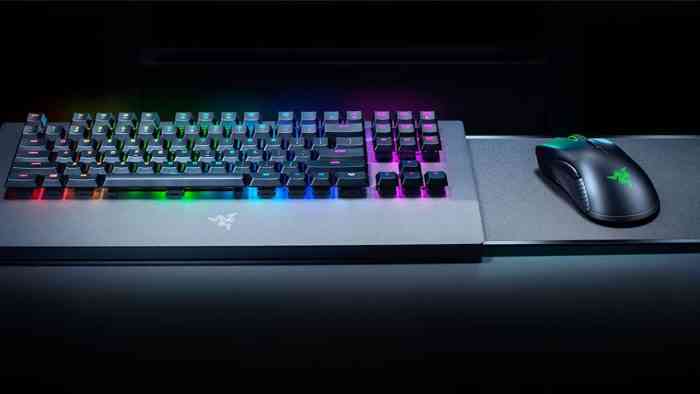 Microsoft has been quick to point out that mouse and keyboard support will be a tool for developers and that they will have full control over whether their games will support it or not. Are you looking forward to seeing what Razer and Microsoft have cooked up? Let us know what you think in the comments below.